The sun shone and the distant Alps were in clear view for our final day’s cycling. We pedalled through apple orchards and vineyards and past beautiful lakeside villages. Mr CW had a tough choice: train or boat? 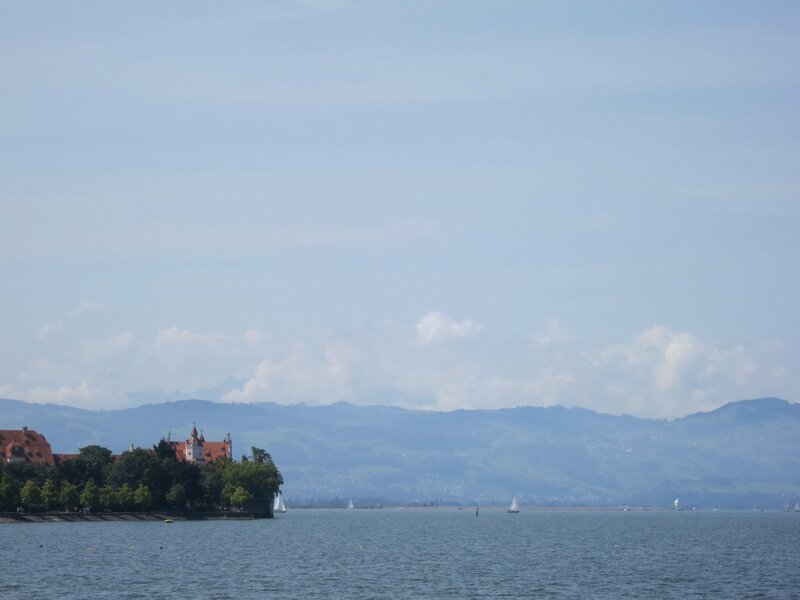 He settled on the two hour slow boat to Bregenz. Most of our destinations have been pleasantly full of people. Lindau, a ludicrously pretty island town, was rammed with people. It seems that everybody who has travelled to within 100 km of the place has heard how lovely it is and determined to spend a day of their holiday wandering round its picturesque streets. Chocolate boxes were made to depict Lindau, it is half-timbered with narrow winding streets and has stunning lake front at the end of every street. No sooner had we arrived at Bregenz and handed back our bicycles then we headed to the Pfänderbahn cable car. This took us effortlessly to the top of the Pfänder mountain that serves as a backdrop to Bregenz. At the top we had a view across the whole of Lake Constance, not possible on even on a clear day at lake level to due the curvature of the earth. Turn 180 degrees and the view is of the Austrian Alps stretching out as far as the eye can see. Summer holidays for the Cultural Wednesday household have traditionally been spent on Breton beaches centred on a rented house. Cycling 204 km was a bit of a gamble, but it has been a big success aided by having our bags effortlessly transported from hotel to hotel and by having had those hotels booked by Headwater. 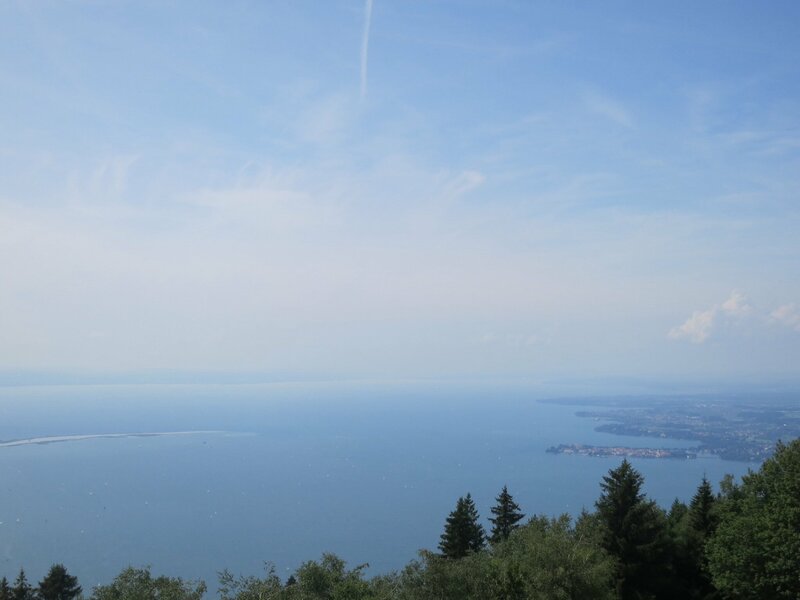 Both the 11 year-old junior CW’s are keen to do something similar in the future and even Mr CW is keen to try to complete the circumnavigation of Lake Constance without incident at a later date.